Steel pony wall in a mid-century modern landscape. 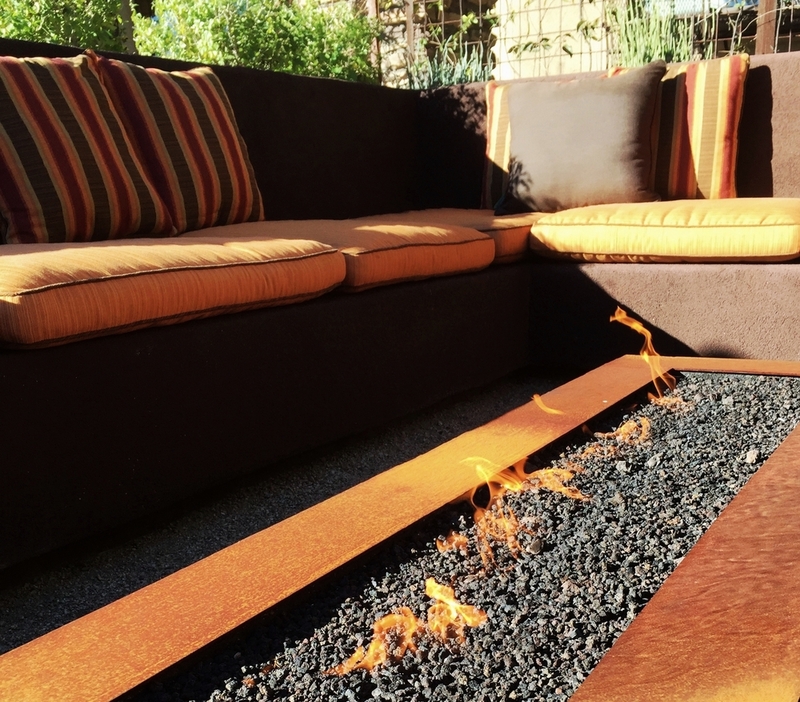 Metal fire feature surrounded by built-in banco seating. 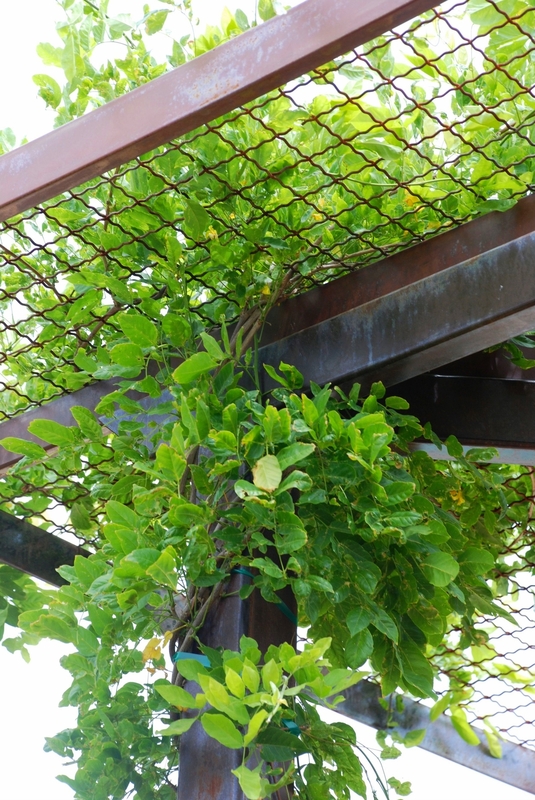 Jogged steel planters created dimensional interest along the back side of a pool. In-ground steel planter flanked by beach stone.